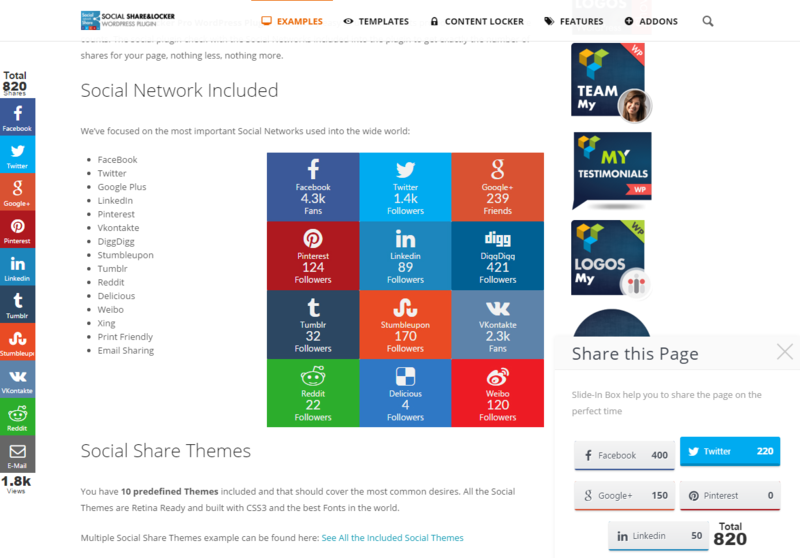 The best way to spread your content and increase the the amount of traffic to your Website from most used Social Networks: FaceBook, Twitter, Google+ & LinkedIn . 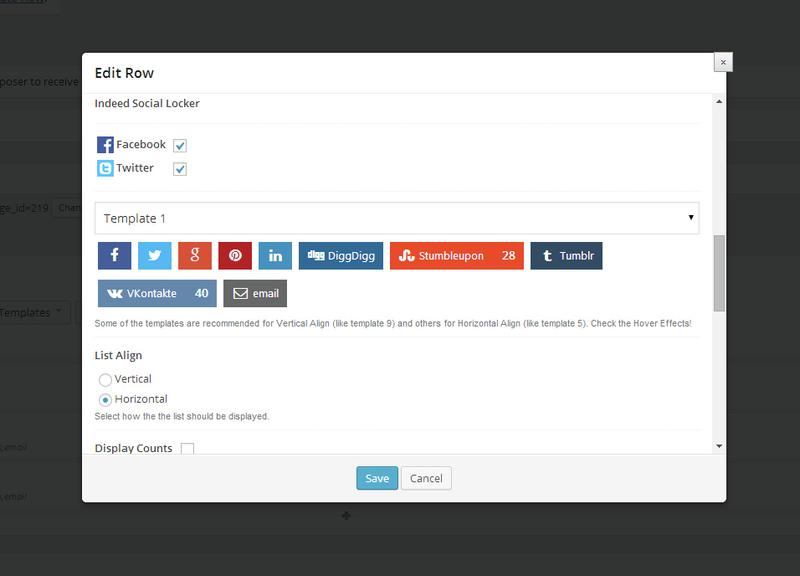 Packed with special feature the Social Locker can become a dynamic tool for your social strategy. 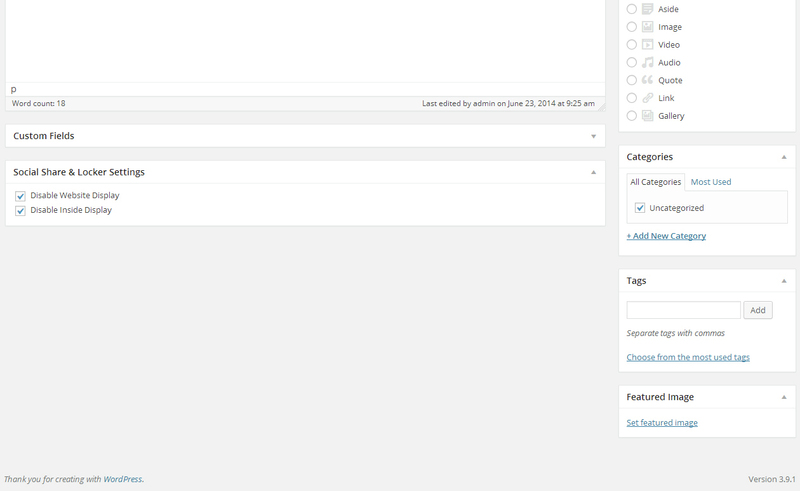 There you can set a Delay Time or to AutoUnlock some content after a while. 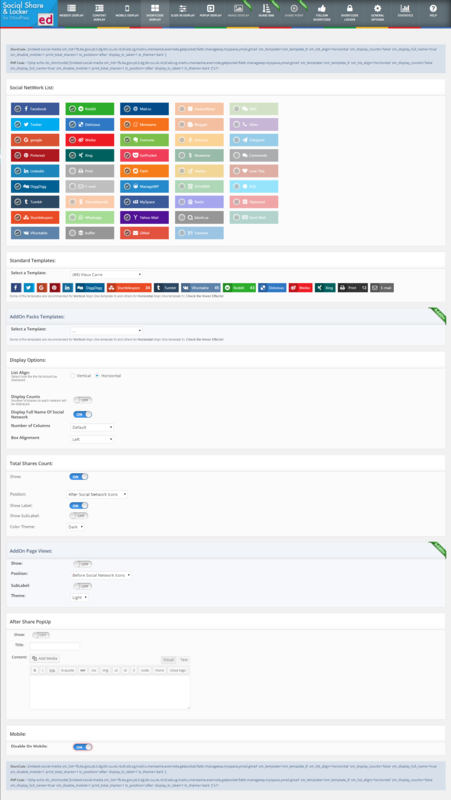 The Visitors may needs to Share again your Page if you set the Locker to Reset after a certain time. 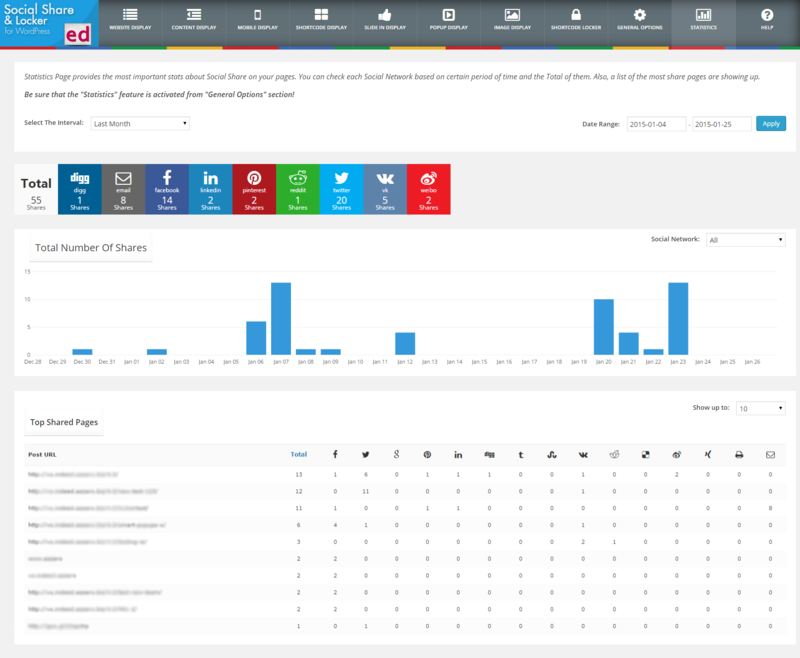 Do you want to Convert your Visitors into your Leads? 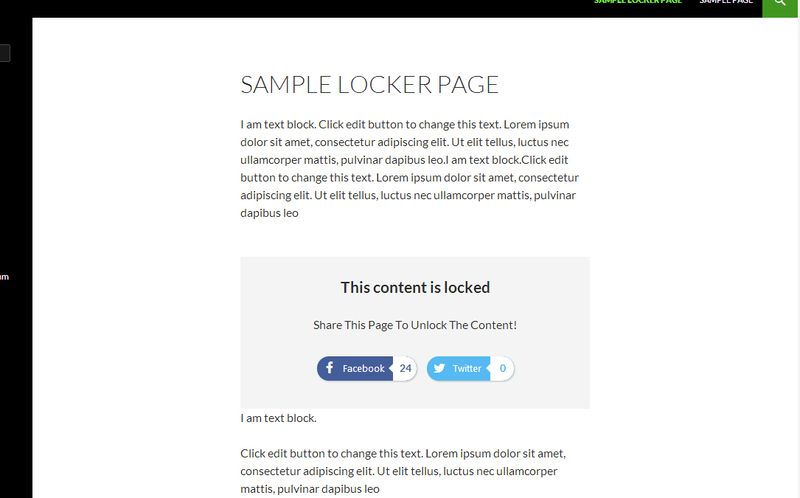 User Has Commented – If the current user is Logged, based on his Comments (if he done or not) the Locker can show up or can be hidden. 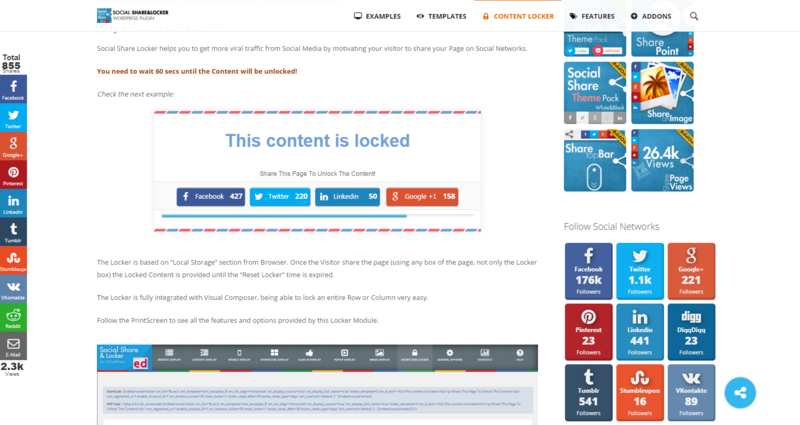 Mobile Devices – The Social Locker can be hidden when your page is visited from a smartphone or tablet. 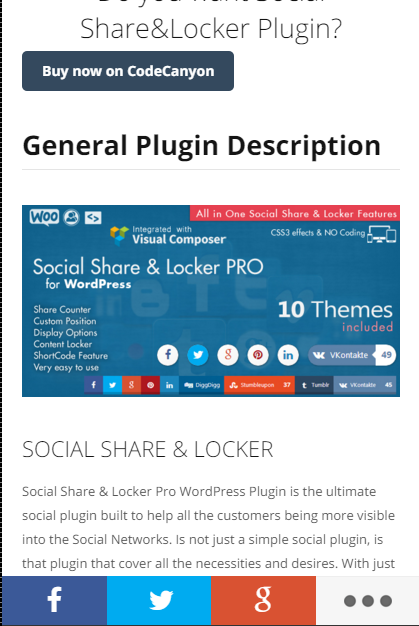 Ho to install the Social Share & Locker Pro Plugin? 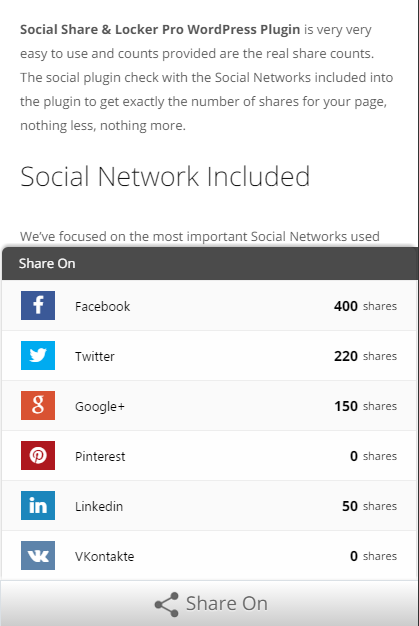 Ho to set Social Share as a Website Display? 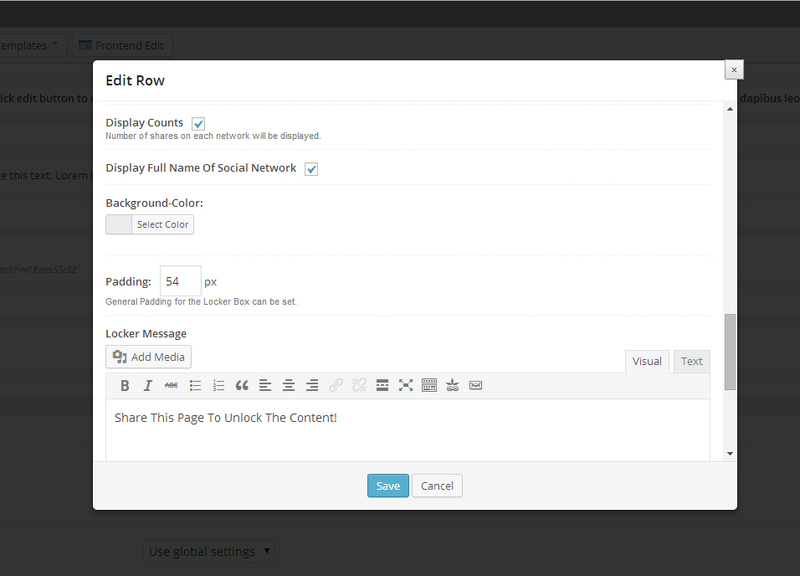 Ho to set Social Share as a Content Display? 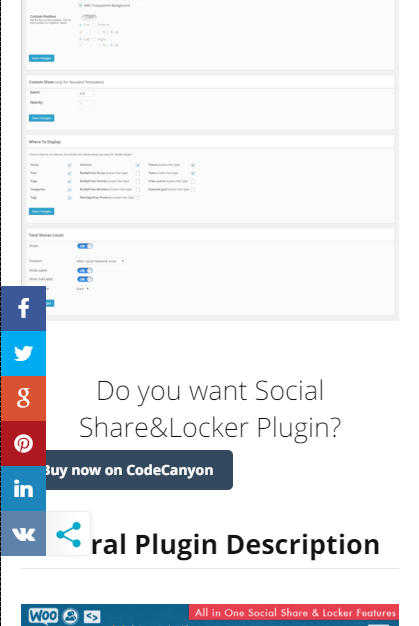 Ho to use Social Share via ShortCode? 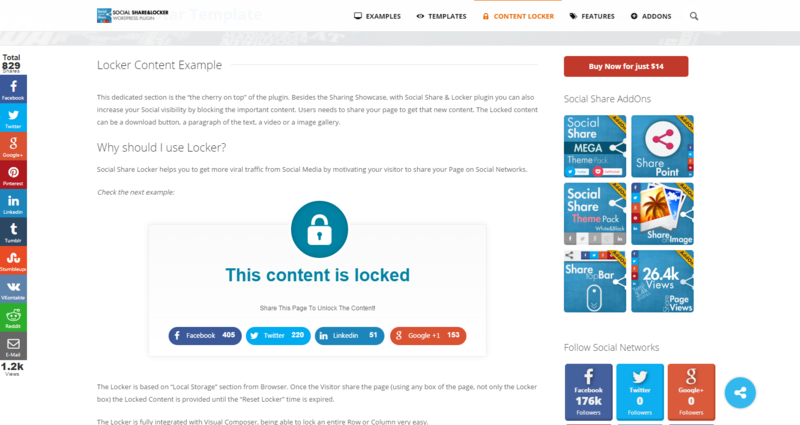 Ho to use Social Locker? 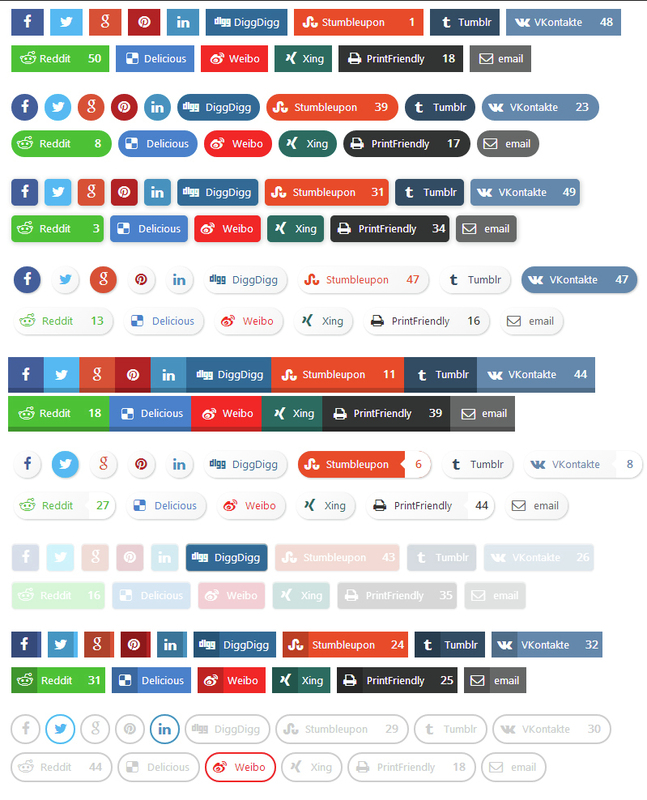 Ho to get a FaceBook App ID? 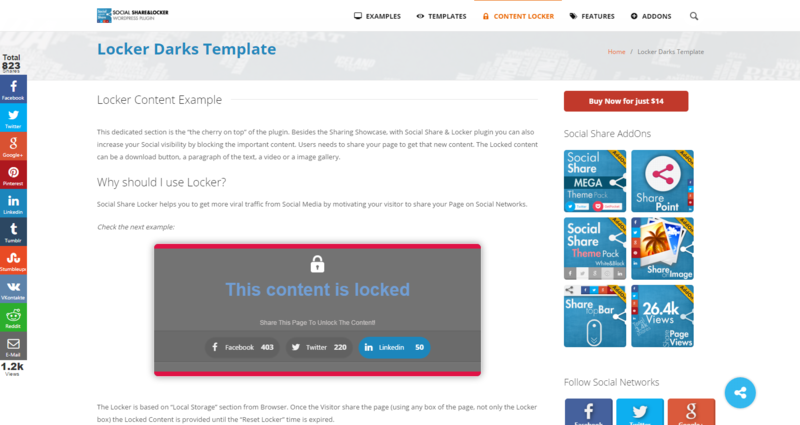 Social Share & Locker plugin is already in use on some of our regular clients websites and we know that the next think they want is to have a nice new templates. 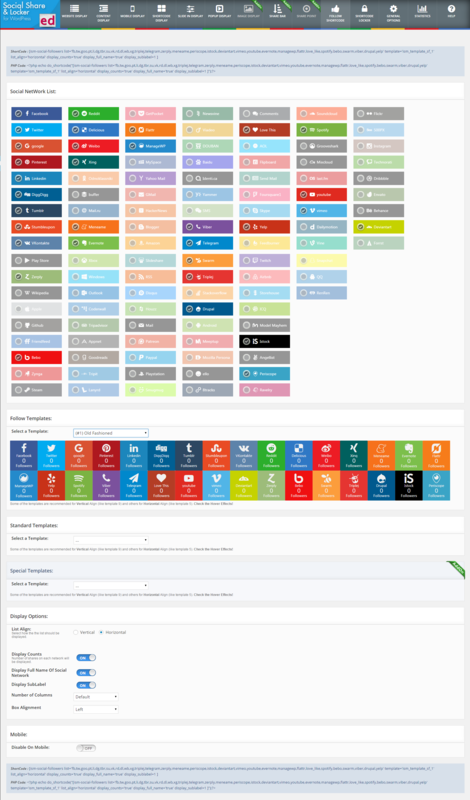 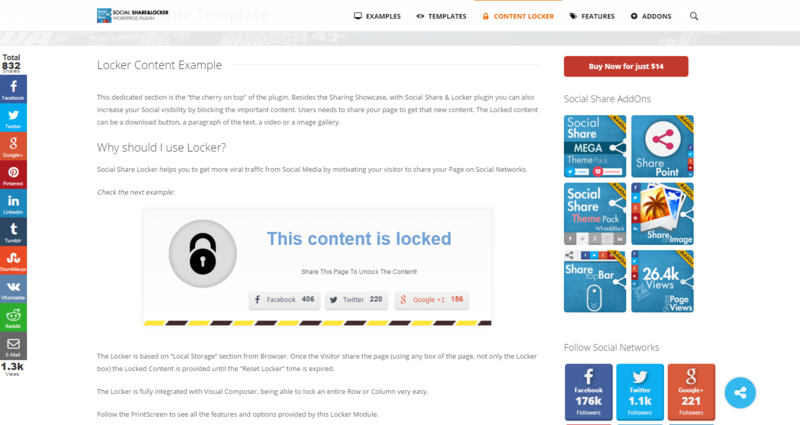 If you want to use Social Share & Locker plugin, all you need to do is install WordPress 3.0+, and install the plugin. 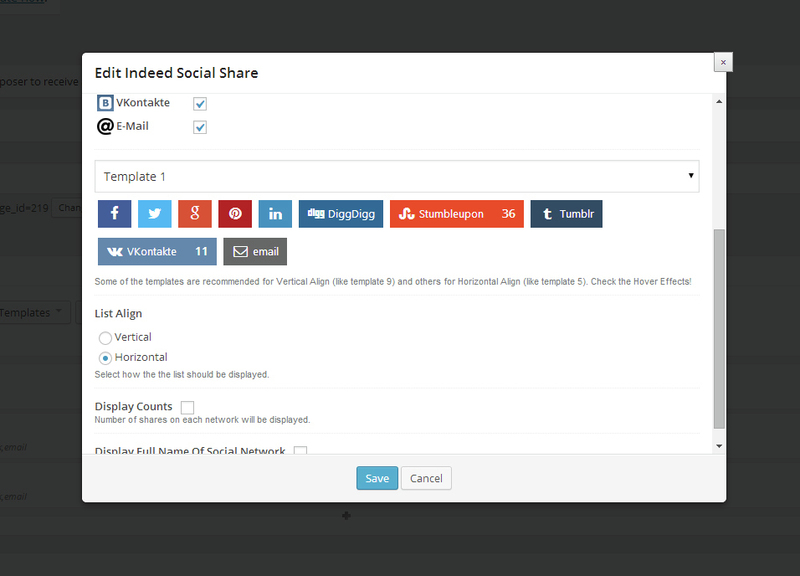 - Improve FaceBook Share on different Destinations.